The former renewable energy giant has returned from corporate collapse, as Brookfield closes on TerraForm Global. SunEdison is back, but with a "significantly smaller footprint." SunEdison, a company once poised to become the first renewable energy supermajor, emerged last week from Chapter 11 bankruptcy as a much smaller version of its former self. The company’s reorganization plan, approved last July by the Bankruptcy Court for the Southern District of New York, became effective on December 29. SunEdison now exists as a newly restructured, privately held firm. Richard Katz will serve as chairman and CEO of the reorganized company. John Dubel, who led the restructuring, previously held the CEO title. Dubel was named chief executive when Ahmad Chatila stepped down in June 2016. 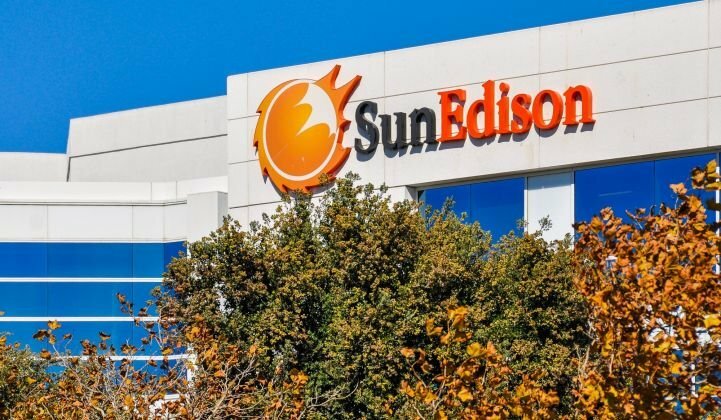 “SunEdison emerges with a significantly smaller footprint and will continue to focus on monetizing its remaining assets,” according to a company statement. SunEdison has made more than $2.3 billion in gross asset sales since entering the Chapter 11 process in April 2016, including the company’s interests in TerraForm Power and TerraForm Global. The two YieldCos were sold to Brookfield Asset Management for approximately $1.7 billion, giving one of the world’s biggest hydropower owners more than 3.5 gigawatts of solar and wind. Brookfield finalized a deal to purchase 51 percent of TerraForm Power in October. The Canadian-based asset manager closed the full acquisition of TerraForm Global just days ago, bringing the bankruptcy proceeding to an end. TerraForm Global was also delisted from Nasdaq and shareholders were compensated at $5.10 per share. SunEdison’s bankruptcy was steeped in lawsuits as shareholders sought to recuperate their investments, which were once valued at $10 billion. A few years ago, the renewable energy developer seemed to be unstoppable. SunEdison made a series of acquisitions, including the purchase of First Wind for $2.4 billion in 2014. The company has since had to lay off more than 1,000 workers, and its bankruptcy left virtually nothing for shareholders. The case is now considered one of the biggest corporate implosions in the renewable industry's history. Vivint Solar narrowly escaped disaster by terminating its merger with SunEdison shortly before the company unraveled.